Since Discover's deep techno imprint, Code Red, started last year it has produced a steady stream of quality deep, dark and occasionally moody techno. 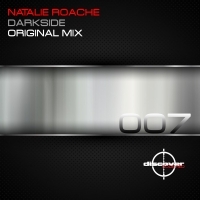 Natalie Roache continues that theme in style with the aptly named Darkside - her first release for the label. The tune quite literally throbs and pulsates from beginning to end as Natalie incorporates an array of musical influences that, as well as creating superb tracks like this, have found her in demand across the globe as a DJ that refuses to be confined by genre. 'Darkside' is available now from Beatport and iTunes.